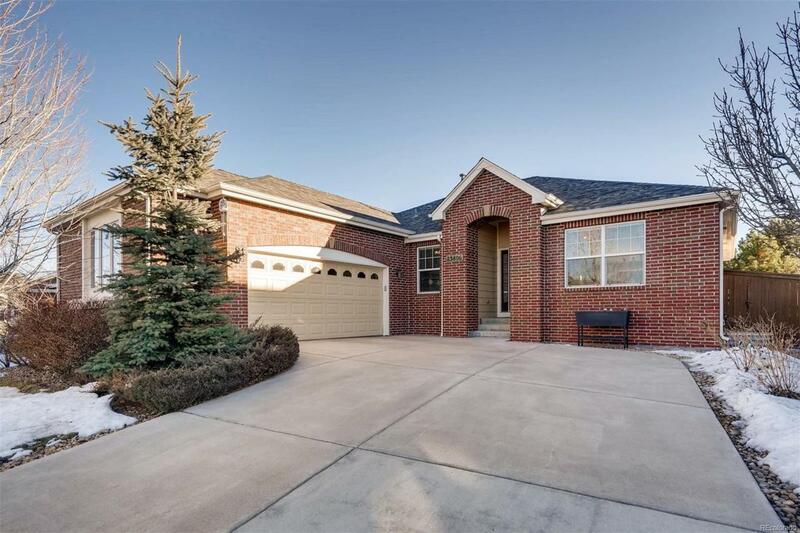 Step into this beautifully maintained home in the desirable Tollgate Crossing community. This ranch style home offers vaulted ceilings and an open floor plan that is perfect for entertaining. Walk outside to the xerisaped backyard that requires little maintenance where you can enjoy a dip in the hot tub. The master bedroom has a private en-suite 5 piece bathroom with a walk in closet. Newer tile floors throughout the home and beautiful hardwood floors in the family room. The office/den has convenient french doors which can provide more space for a family or a private at home working area. The Tesla solar panels offer huge savings and have been fully paid! The lease would transfer to the buyer without a lease payment creating instant savings! New roof and paint in 2015. New AC in 2018. This home is move in ready!2 miles to Southlands where you can find plenty of restaurants, shops and entertainment. Easy access to E-470, Buckley Airforce Base, DIA and I-225.